London is home to some terrific parks and green spaces that exist in the thick of the hustle and bustle of the city and provide a peaceful relaxing sanctuary of calm and serenity. An address near a park is very desirable and a great option if you are travelling with children. Each park has its own charm and character but they all feature some excellent recreational facilities from running tracks, sports courts, lakes, manicured gardens, art galleries, restaurants, cycling paths, boating, playgrounds and memorial walks. Whether you go for a run in the morning, entertain the kids at the playground, admire the wildlife, dine in a cafe by the lake, cycle through a flower garden or explore one of the many temporary cultural exhibitions that take place, staying near a park will truly make your stay more memorable. 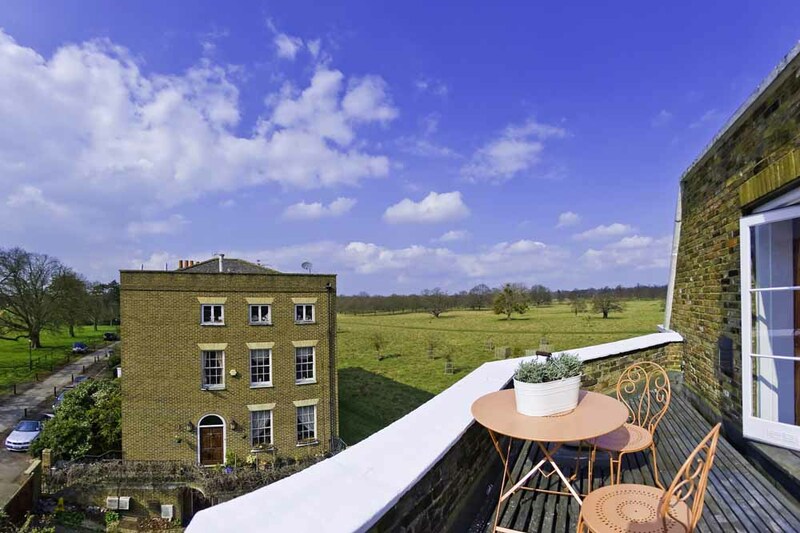 This property sits right opposite Hyde Park and features 1,2,3 bedroom apartments as well as a fantastic 4 bedroom penthouse flat. Each apartment is designed with stylish neutral interiors, fully fitted integrated kitchens, tiled bathrooms and relaxing bedrooms. It is only a short walk from Paddington and Bayswater, both vibrant neighbourhoods with plenty of multi-cuisine restaurants, shops and local amenities. Lancaster Gate station is right next door as well making it very easily accessible by the London Tube. 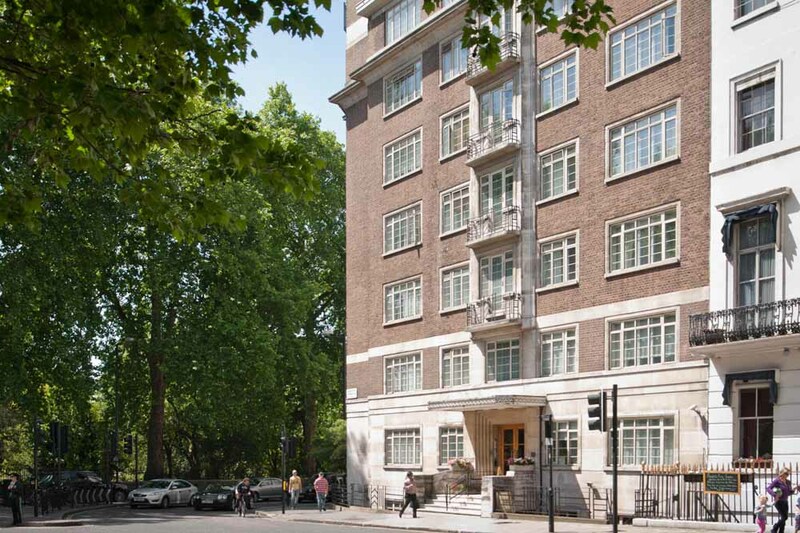 This is one the most popular luxury apartments blocks in Central London, thanks to its superb location, on-site facilites and very generous residences. It faces Green Park and sits right behind The Ritz Hotel on Piccadilly. The apartments are air-conditioned with contemporary high-end furnishings, designer appliances in the kitchen, daily maid servicing and some fantastic penthouses overlooking the park and rest of the city. Green Park station is only a minute's walk away. Studios,1,2,3,4 bedroom apartments available. 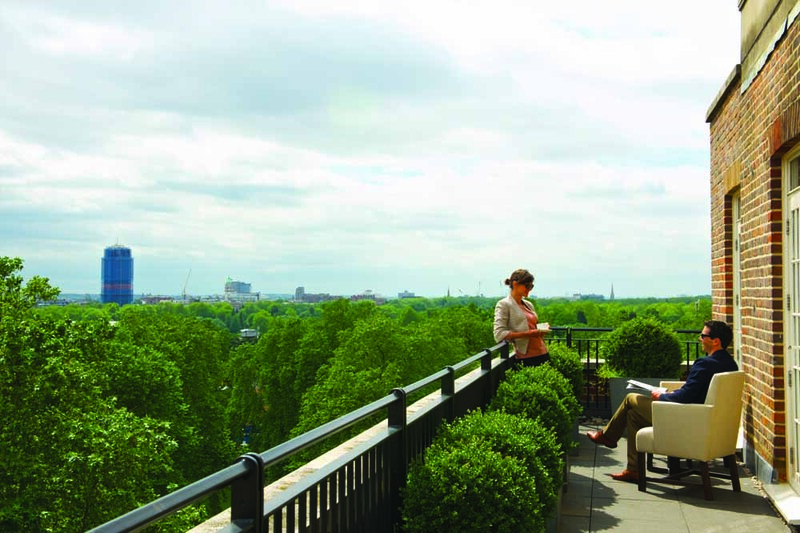 The Cheval Thorney Court Apartments are more classic in style but very generous in size compared to equivalent hotel room suites offering unrivalled views of Kensington Gardens . It is located right across from the park and is a short walk from South Kensington's top attractions like the Royal Albert Hall, The V&A and The Natural History Museum. 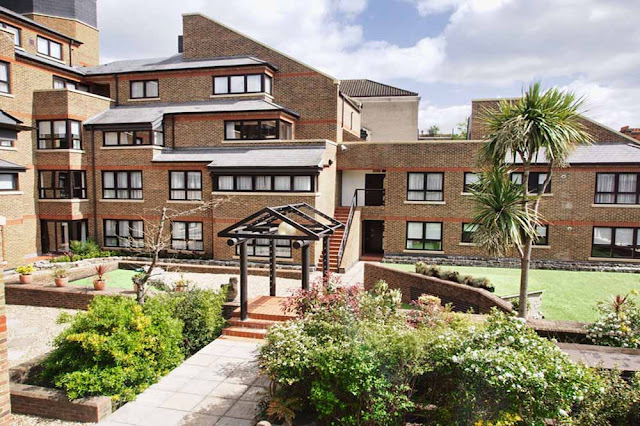 The apartments are luxuriously furnished and feature a dedicated customer service team, secure car park, kitchens with fine bone china and crystal glassware, marble ensuite bathrooms, Bose entertainment systems and a fitness room. 1,2,3 bedroom apartments available. 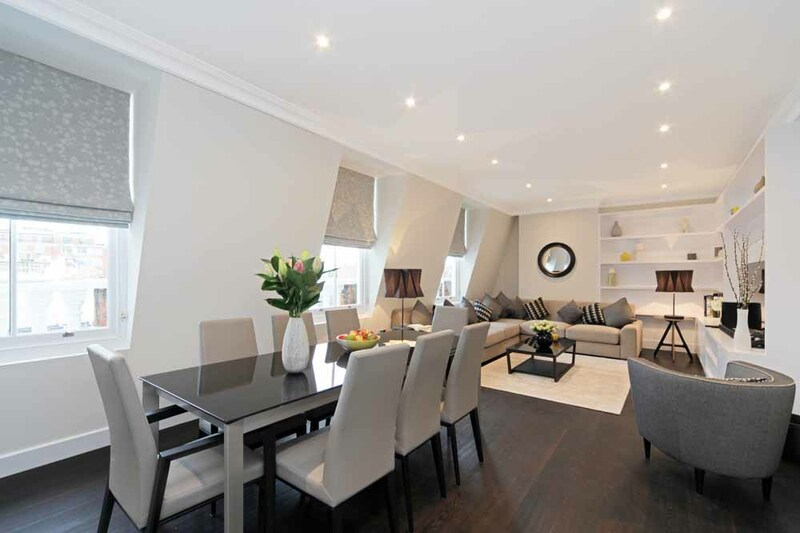 The Monarch House Apartments are superb option for any stay in Kensington and enjoys a quiet setting in spite of it being located on the busy High Street Kensington. Holland Park is right across and a large Waitrose supermarket is on your doorstep, which is very convenient for all your essentials. Inside the apartments are bright, spacious, modern and well furnished with comfortable living areas, good storage, work desks, dining tables and large kitchens. 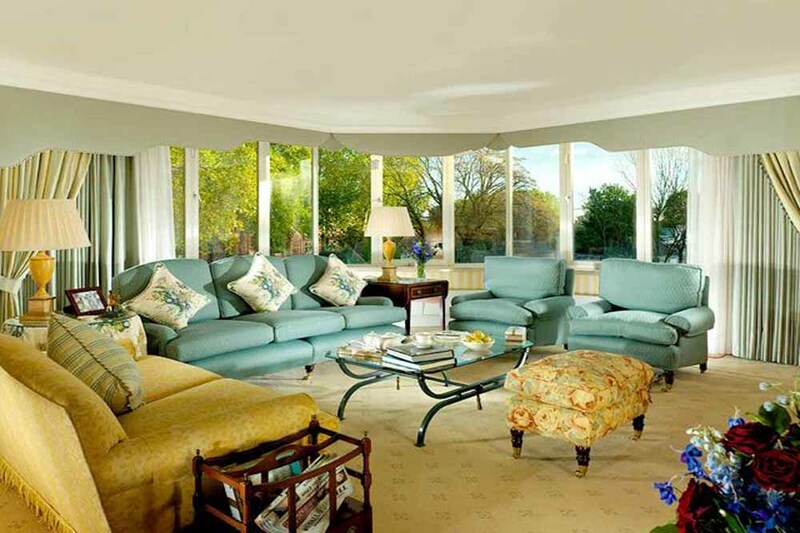 There is car parking, a private garden, daily maid service and a 24 hour reception on-site. 1,2,3 bedroom Apartments available here. These 5 star serviced apartments are the perfect choice for that really special stay with their unrivalled parkside address, high-end designer interiors, impressive on-site facilities like and international restaurant, gym and business centre and a tremendously high attention to detail. Each apartment comes with state-of-the-art technology and amenities from Interactive HD televisions, iPod docks, organic toiletries, touch screen room controls and heating, an evening turn-down service and even Nespresso coffee machines. Studio,1,2,3,4,5 bedroom apartments available including some outstanding penthouses. 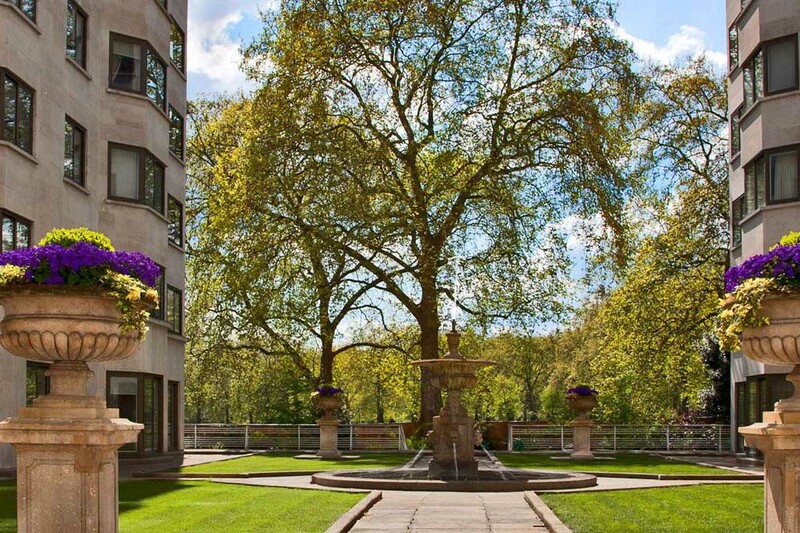 This contemporary serviced residence offers the charm of a Mayfair location, a minute away from Hyde Park, at very affordable rates. They are fully equipped with all the mod-cons you would expect during your stay including free Wi-Fi, air-conditioning, SKY TV channels, integrated kitchens and neat bathrooms. Subtle, elegant colour schemes present a warm and inviting atmosphere while regular maid service and linen and towel changes ensure you are comfortable and well looked after. Studio,1,2,3 bedroom apartments available. If you are looking for a really tranquil setting away from the city centre, Craven House is where you want to stay. It is a beautifully presented property right on the edge of Bushy Park near Hampton Court Palace in Kingston. It wouldn't be uncommon to spot wild deer roaming outside your window. 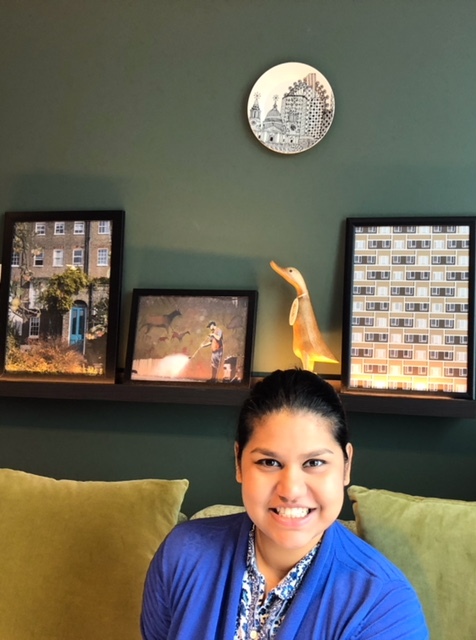 Each apartment is designed with wonderful interiors, bright, airy, layouts, charming furniture, high quality fittings, well appointed kitchens, Bang & Olufsen entertainment systems, relaxing living spaces and host of convenient amenities. There is car parking on-site and Studio, 1,2 bedroom apartments available here.